Last week, our sponsored children in Iran experienced another earthquake. It happened in Zamkan and Tazeh-Abad in Kermanshah, Sirch in Kerman and Hormoud in Hormozegan resulting in damage to some of the houses that were rebuilt after the November Kermanshah earthquake. During that time, Child Foundation collected more than $450,000 in donation to provide 105 conexes to schools with damaged classrooms. I am glad to report that all our conexes survived this new wave of earthquakes, since they were built in accordance with the best engineering standards. If you wish to contribute to earthquake relief, please visit our earthquake page here . With the new school year approaching, I ask you to consider helping us spread the word about our Back-to-School campaign . This year, we will be providing backpacks filled with school supplies to students in Afghanistan, Cambodia, Indonesia, Iran, Nepal, Uganda and the United States. With only $30 , you can provide a backpack full of notebooks, pens, pencils, and personal hygiene products to a student in need, who may who may have never received a new backpack before. To participate in our Back-to-School campaign, please visit our site here and show your support. With the new school year approaching, Child Foundation is urging donors to participate in our 3 rd annual Back to School campaign. Our goal is to help gifted and eager students in need receive a suitable education to rescue their family and themselves from poverty. A gift as small as a backpack of supplies can help motivate these talented students to pursue their bright future and dreams. Due to the increase in the dollar exchange rate, you can now pay less to sponsor a backpack for each child. For only $30 you can provide a child with the tools to a successful school year. To reach our goals in providing support for all our students in need, we ask you to consider sponsoring more than 1 child to receive your gifts. If you sponsor 20 bags o r more, Child Foundation will keep you informed on which schools receive the gifts as well as a letter written by the child that received the gift. To join our initiative, click here . It is a good idea to involve your children to join you in this worthy cause. Every year, some students get together and collect donations to help children in other part of the world with a small gift that help them in a big way. Please contact us for more information here . 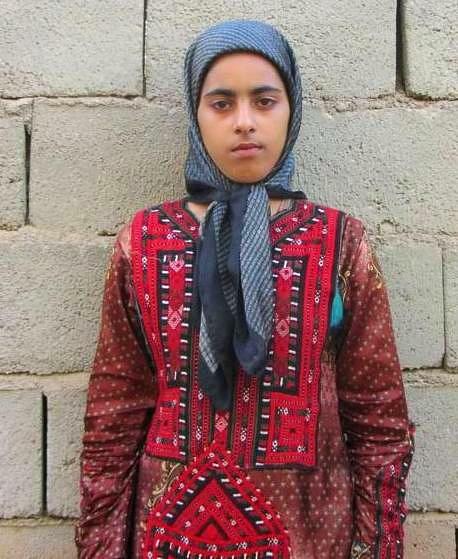 Fatemeh is 14-years old girl from Bam, Iran, a city from Kerman province. She is a talented student who finished the eighth grade top of her class with a score of 19 out of 20. 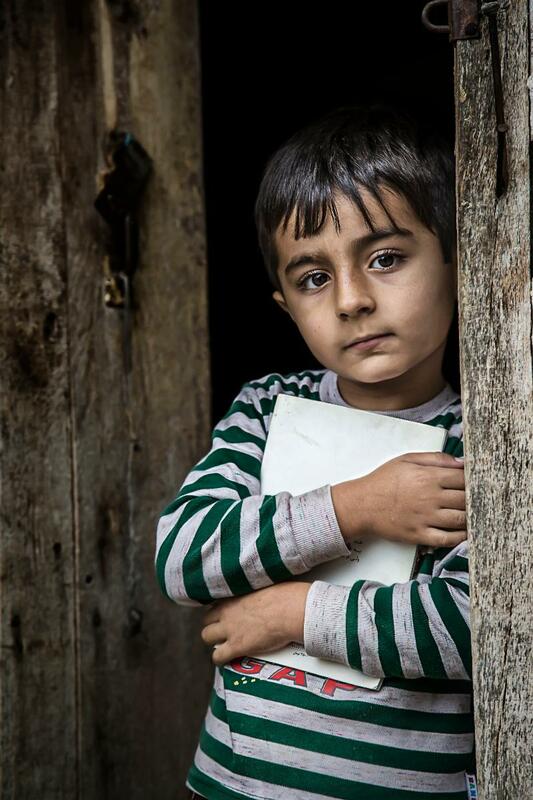 Fatemeh currently lives with her mother and siblings without the support of her father. Their family lives in a house which requires repairs and she describes facing many obstacles in the path to her success at school. Her wish to continue to developer her education without the concerns of financial burden and to her energy towards making her dreams a reality. With your support, we can help make a bright future for Fatemeh, and fuel the progress in her education. After reviewing Fatima's talents, interests, and motivations and taking into consideration the financial needs of the family, Child Foundation has granted a $50/Month Scholarship to the student. By supporting her education, you will be shaping the future of a child with ambition. Please take action and sponsor Fatima here with a minimum of $30 per month. 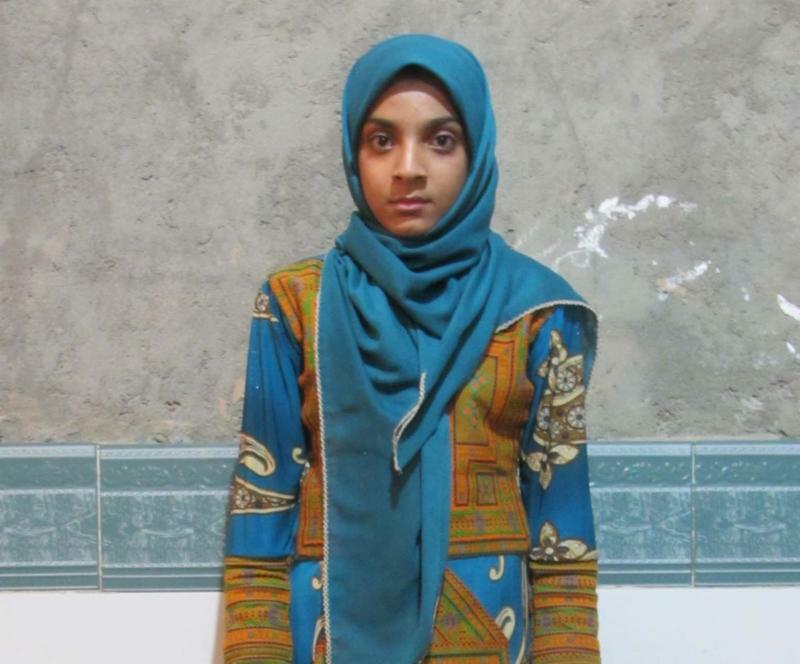 Hadis is a teenage girl from Bam, Iran. She is a 9 th grade student who received a perfect GPA last year of 20 out of 20. The Hadis family is one of the thousands of families that have fallen victim to social issues and disadvantages in Iran. Hadis lives with her mother and brothers, without her father's support in home that lacks necessary facilities. Life is very difficult on Hadis and her family, however, all these difficulties have not diminished anything from her will to progress. She is studying with all her power to be a woman with a successful future. After reviewing Hadis’s talents, abilities, and motivations and taking into consideration the financial needs of the family, Child Foundation has granted a $63/Month Scholarship . We continue to invite all to sponsor Hadis' education in this effective step for ensuring a bright future. To preserve the privacy of the children and their families, Child Foundation will only provide details of each child to their designated sponsor. 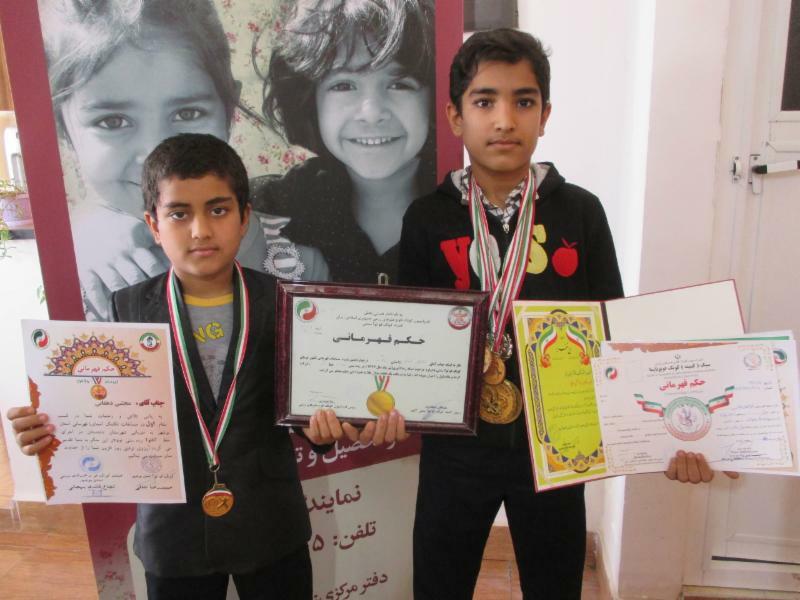 Child Foundation would like to highlight 2 brothers who are currently receiving scholarships, Abolfazl and Mojtaba, on achieving significant rankings at their Kung Fu Competition. The youngest, Mojtaba, won the City Championship Title while Abolfazl, the eldest, won the National and International Title. Unfortunately, the Iranian Kung Fu Federation only funds travel for local and national events hosted in Iran. They do not support the travel expenses of young champions to international events so these young athletes are forced to pay out of pocket to attend. Due to the high cost of travel, Abulfazl will not be able to take part in the competitions held in Europe. This young athlete has displayed exemplary scholastic levels and received 5 medals last summer in Kung Fu competitions. In February of 2019, a tournament will be held in France where he will have another opportunity to compete. Child Foundation is working to help Abulfazl receive the $3,000 in funding he needs to reach his goals. If you or someone you know is willing to help , please donate here and help this child pursue his dreams. Last week, our Canadian volunteers participated in Iranian Festival of Toronto. Our volunteers are always important to our organization in spreading the word about Child Foundation. Our upcoming volunteer events include the 19 th annual Portland Iranian Festival on Saturday, August 4 th and 12 th annual Seattle Iranian Festival on Saturday, August 10 th . If you like to join us in Portland or Seattle, please complete a volunteer application here . Also, if there is a gathering in your neck of the woods that you believe Child Foundation should attend, please contact us here . Why not shop knowing you can give by simply using our Amazon link ? AmazonSmile will donate 0.5% of your purchases to the Child Foundation at no extra cost to you. Enjoy shopping by simply using our link and Amazon will take care of the rest.